A parabolic mirror reflects parallel rays of light to a single focal point. 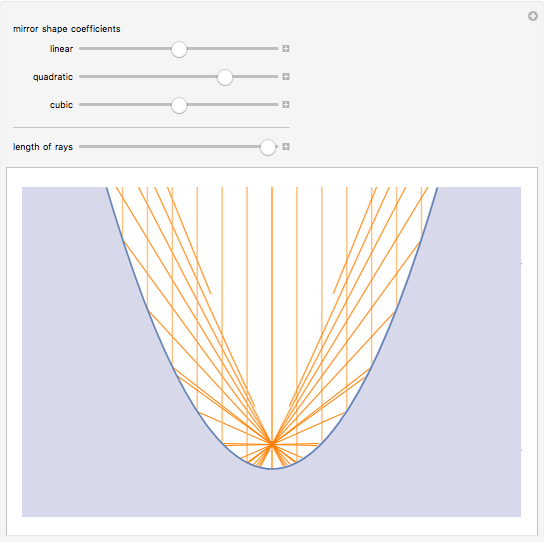 Other mirror shapes can produce very different behaviors. 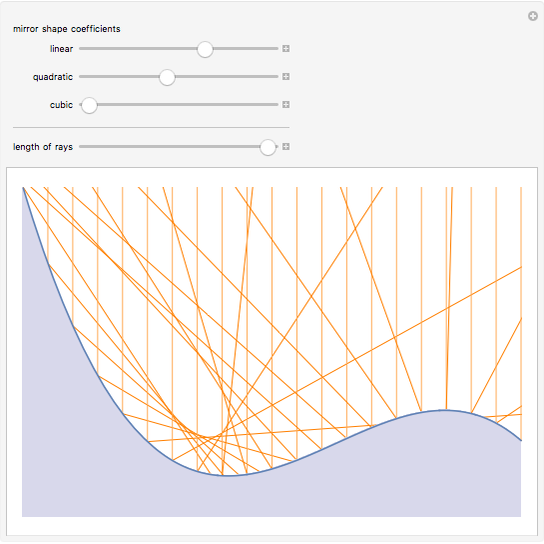 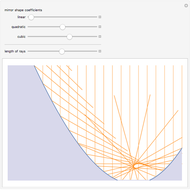 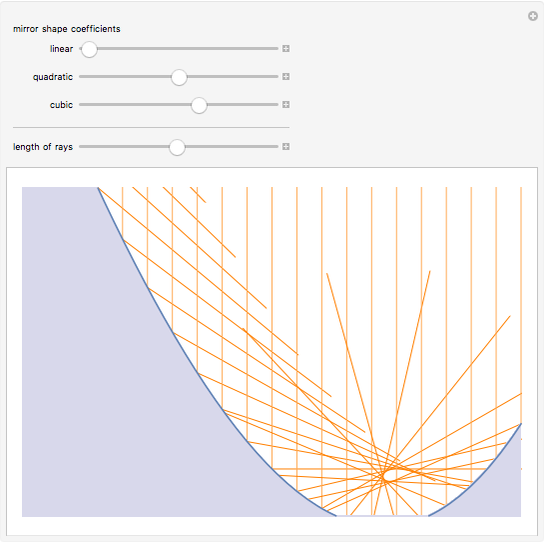 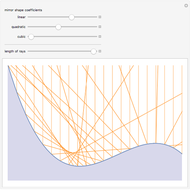 Stephen Wolfram "Reflection from a Polynomial Mirror"